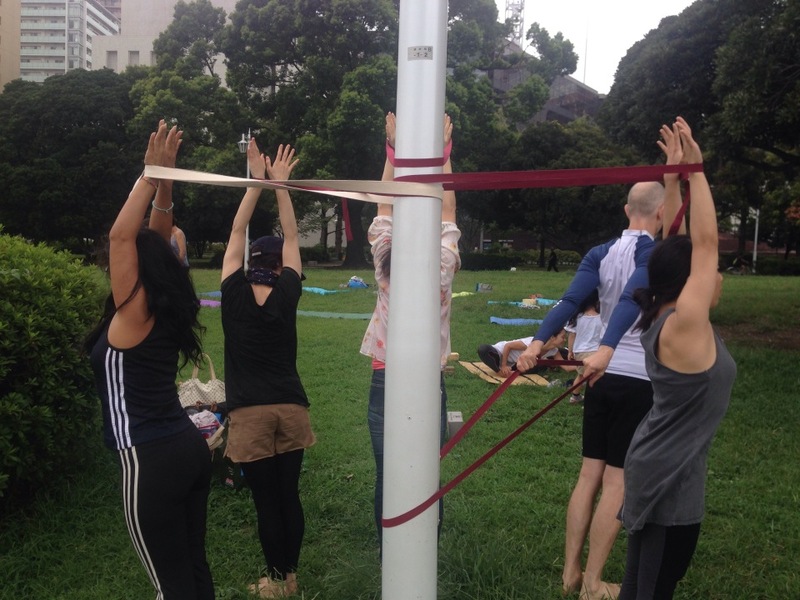 今日のパークヨガ予定通り開催！　Today’s Park yoga will be held as scheduled! The weather forecast said it’s going to rain on Sun, but it’s sunny today luckily! We are going to have Park Yoga as scheduled. Paul will teach the class today, and it will be held in both English & Japanese.